I talked more, sang more, and read more to him. More time passed, and there were still no words. I read book after book on language, learning, and learning languages. I read countless books on growth and development in toddlers and babies. I followed all of the strategies and suggestions in all of the books. I talked constantly to him, explained to him what we were doing, and described to him what was going on. I expanded my vocabulary, structured my sentences in different ways, and used different pitches with my voice. I emphasized key words, spoke slowly, and came down to his level and looked right into his bright eyes. I could see that he understood everything that I was saying. He could even follow two-step instructions. He responded to everything that I said, but he didn’t use words. I could usually figure out what he wanted between the eye contact, his expressions, arm waving, whining, crying, and my own maternal instincts, but he didn’t use words. As he grew older, he became more and more expressive and loud, but he didn’t use words. As he started missing more milestones, I started looking for alternative ways for him to communicate. Here are the strategies that we found most helpful. We expected him to talk. However, I changed my game plan so that I talked a lot when we played, and talked less when we worked on language. When we practiced language, I simply held the ball out in front of me, and said, “Ball,” and waited. Slowly I said “ball,” again, and waited. I said it a third time, then I gave it to him. Even though he didn’t say the word, he knew the expectation was for him to try. 2. We focused on specific words that had the greatest impact on him. When he signed, or tried to say words like “Help”, “More,” Eat.” he saw immediate positive results, which motivated him to keep on trying. We stopped using words that are really nice to hear, but that don’t really do anything for him, like please and thank you. Although it felt strange at first to drop the courtesies, we thought that it made sense to teach him these pleasantries after he had already established an extensive vocabulary. 3. We taught him to point with his index finger. Instead of waving his arms and getting frustrated, we taught him to point to something specific. I cupped my hand over his tiny fist and extended his chubby index finger in the direction of what I thought he was asking for. Then I gave him the toy/book/snack/drink. Every time he wanted something, I would repeat this scenario. Eventually, after a lot of explaining and positive reinforcement, he learned to point on his own. This took a long time, but when he finally learned how to nod and shake appropriately, we could ask simple direct questions and receive a quick and accurate answer. Since he learned to say “yes” a few months before he learned to shake his head “no,” we had a lot of happy and agreeable “yes” days. 5. We taught him several common gestures. We showed him how to give a thumbs up, high five, and fist bump. We also taught him to wave hello and good bye, applaud, and blow kisses. Surprisingly, these little actions make the biggest difference when he interacts with strangers and acquaintances. 6. We taught him to count with his fingers. 7. We taught him a few signs in American Sign Language. When he wanted more of something, I put my hands over his to sign “more,” then I gave him more of what he wanted. When he was all finished his meal, I put my hands over his and signed, “all done,” then took him out of his high chair. When he struggled with something, I put my hands over his and signed “help,” then I helped him. When he was hungry, I helped him to sign “eat,” then gave him a snack. By using constant positive reinforcement, he learned to sign within a few days. All of a sudden he could communicate almost all of his needs with just a few signs. It was a huge breakthrough! He was finally using words. His first words were silent, but they were the most precious words that I have ever known. Soon he started making up his own signs for words. Now he has a sign language all of his own that only we understand. Whenever we visit family, we have to give them a quick tutorial of all of the new signs that he has created. All of this learning took a lot of time, a lot of patience, and a lot of innovation. It has also been very rewarding for my Little Bear, my husband and me, and for our families. Since one of his communication tools (his speech) is not functioning properly, my little guy knows that he has a whole toolbox of other tools that he can use to connect with people. This knowledge has given him confidence in his abilities and determination to keep on learning and trying. All of these skills opened up several lines of communication for him. When he combines all of these techniques with his good eye contact and joyful smile, many people do not even realize that he has a speech delay. Now whenever he whines or cries, I simply ask him to use his signs and gestures to show me what he wants. He is finally able to communicate in his own unique way and I am so excited that I can finally fix his charming toddler problems (most of the time). Carolyn, sounds as if you’ve been on a steep communication learning curve, whatever about your little bear. Thank you for reading! 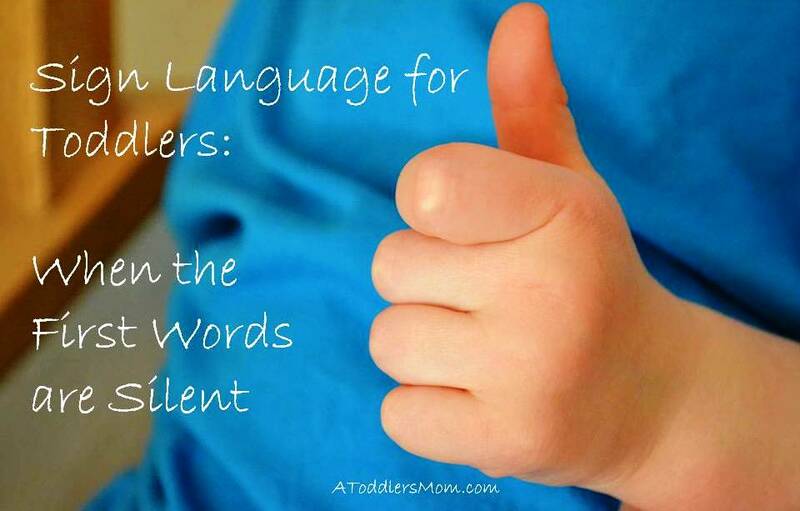 You are right – It is a steep communication learning curve for both my son and I. We have so much to learn from each other!